U.S. 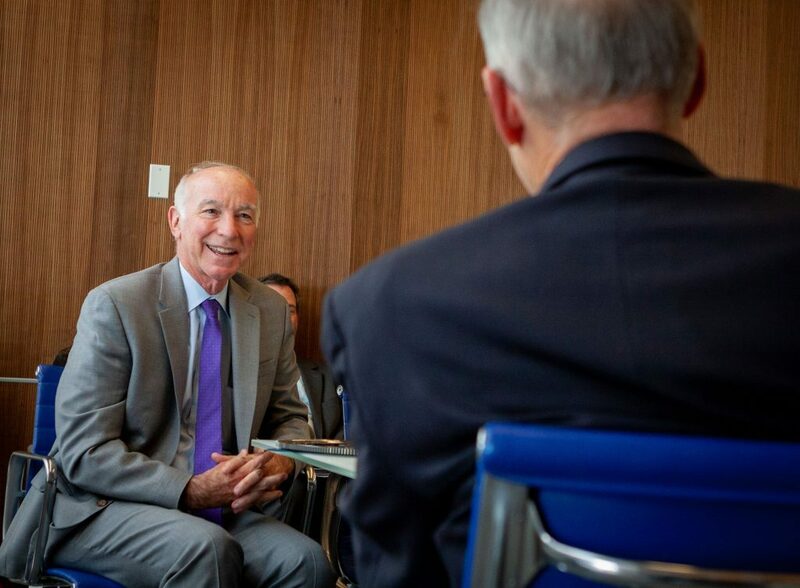 Congressman Joe Courtney (D-Conn.) visited the University of Connecticut’s Storrs campus last week to meet with researchers from the School of Engineering and tour several of the University’s state-of-the-art research centers. The visit began at one of UConn’s most specialized R&D facilities, the Innovation Partnership Building (IPB) at the UConn Tech Park. Made possible through state investment in the $1.5 billion Next Generation Connecticut initiative, the IPB brings together world-class academic researchers with industry partners from the private sector. The unique space was specifically designed to fuel collaborative research between UConn scientists and businesses of all sizes, and to accelerate the development of ground-breaking technologies in materials science, additive manufacturing, cybersecurity, flexible electronics, energy, and other fields. Some of Connecticut’s – and the world’s – leading corporations and industries are serving as anchor partners for the IPB, including United Technologies Corp., General Electric, Comcast, Pratt & Whitney, and Eversource.